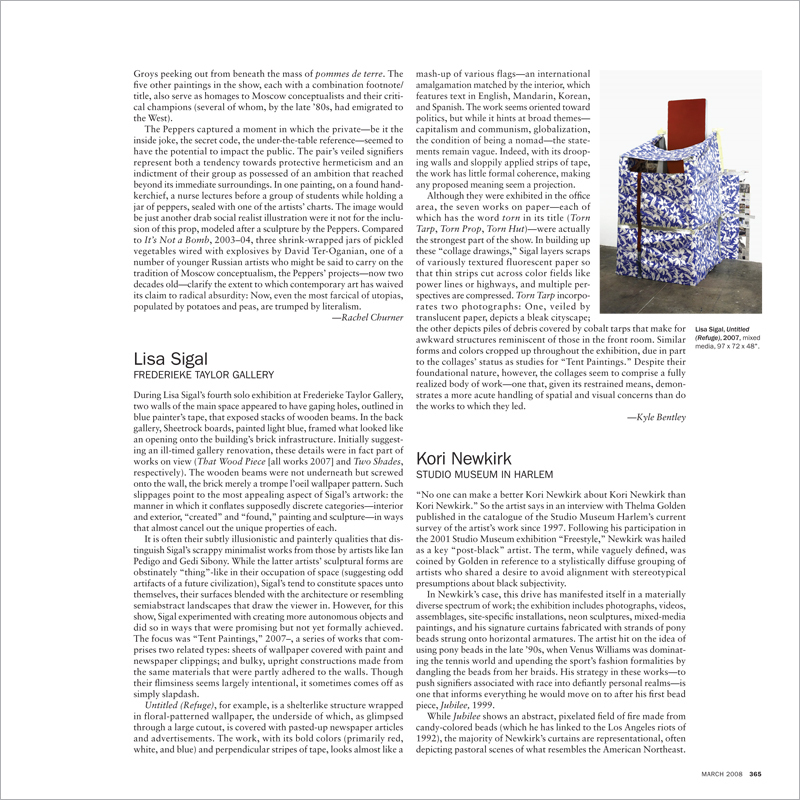 “No one can make a better Kori Newkirk about Kori Newkirk than Kori Newkirk.” So the artist says in an interview with Thelma Golden published in the catalogue of the Studio Museum Harlem’s current survey of the artist’s work since 1997. Following his participation in the 2001 Studio Museum exhibition “Freestyle,” Newkirk was hailed as a key “post-black” artist. The term, while vaguely defined, was coined by Golden in reference to a stylistically diffuse grouping of artists who shared a desire to avoid alignment with stereotypical presumptions about black subjectivity.